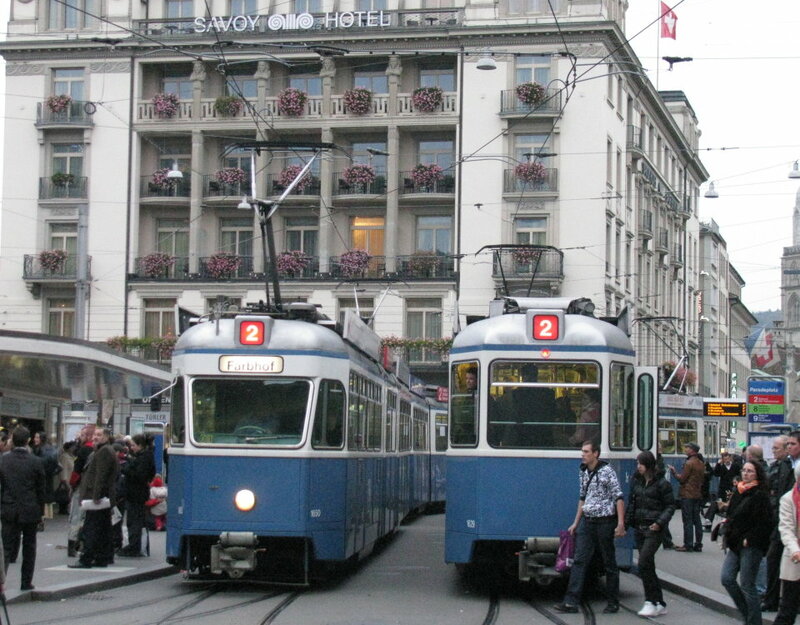 With the remaining Mirage turns becoming increasingly rare (currently down to three or four pairs on route 2 only), Tram Museum Zürich are running a farewell tour on Sunday 6th June. The tour starts at Burgwies depot (the tram museum) at 09:00 and finishes at circa 13:30 at Hauptbahnhof. The tour will offer plenty of opportunties for photographs, and include a run to the airport. Registration is not necessary. Costs are 20 Franks for adults (10 for children). Website comment: This tour does probably not mark the final turn for this type. It is more likely that Mirage numbers will dwindle further as the last Cobras arrive, and that the last working some time this Summer will be rather inconspicuous. It is furthermore planned that a number of units will be retained as spares for some time and some of these could even return to traffic with the opening of the two tram extensions (end of this and next year). On the other hand, the increased flexibility with which trams are exchanged between routes decreases the overall need for spare units. The large scale Mirage revival that some enthusiasts are wishing for is not likely to happen.